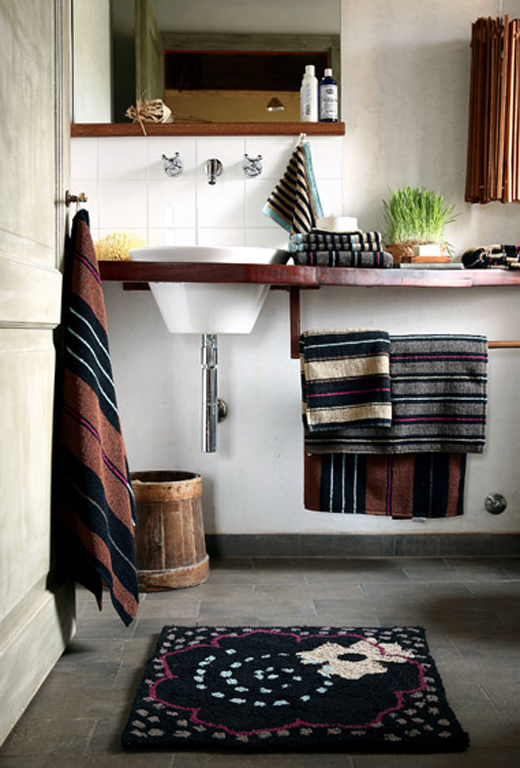 Is it just me or the bathroom is indeed the least favorable room in a house during wintertime? I mean, mine happens to be the coldest place (no heating in it whatsoever) and it's like a torture to have running water on you with that low temperature. I guess with the appropriate heating system and a warm decor of earthly tones, wooden accents, stone finishing and lots of fluffy, freshly smelling towels maybe this can change. And those sunrays sneaking into it through the large window can help (when there are some..). So how do you cope with your everyday shower routing during winter? 10 comments on "Snug bath"
This is my dream bathroom! I wonder if our hired bathroom remodeling NYC contractor could come up with something like this. 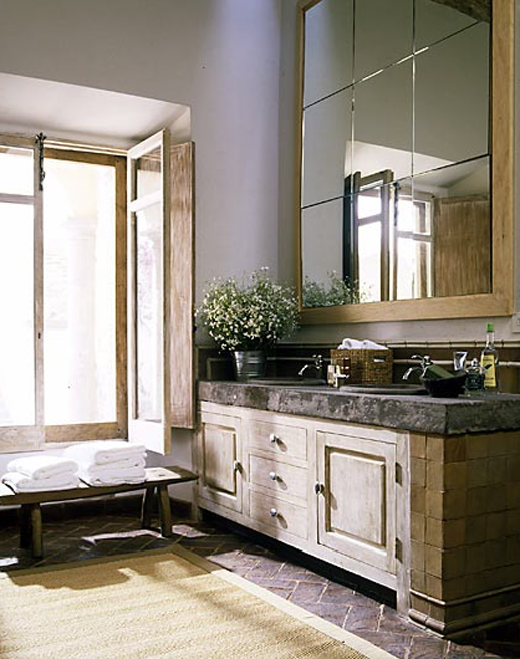 These are great looking bathroom. 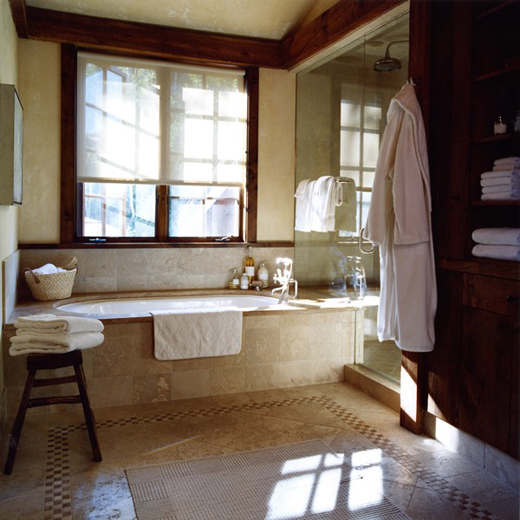 I love the bathroom fixtures and tiles you've used. The overall design is very sophisticated and elegant. 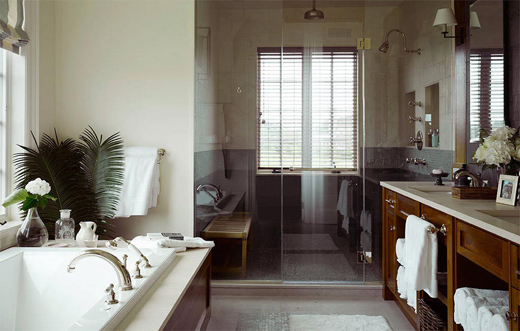 Seeing these bathroom photos made me want to renovate my house. I love the designs and combination of colors. I'm loving the whole look. Its' a good thing that my apartment has a big enough bathroom to fit a bathtub in it. You have a very lovely home! Your bath tub is so elegant and it feels so cozy to be in your rest room. I really hope I could find affordable mortgage rates Long Island ny soon so I could buy a new home soon. 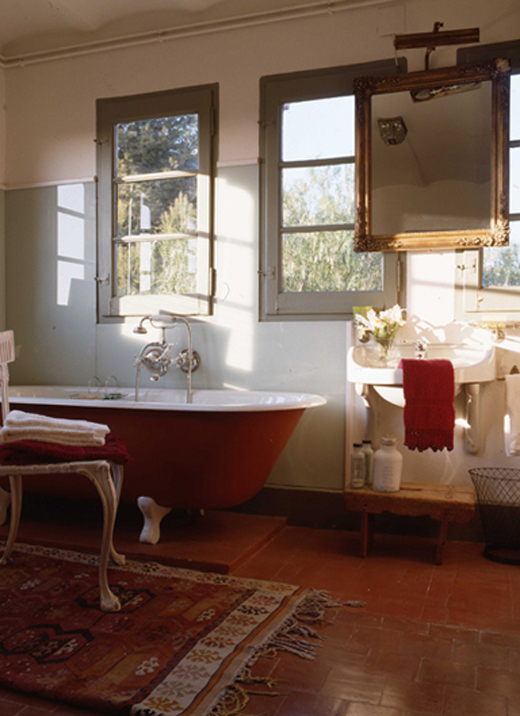 I simply love these types of bathrooms, I'm sure that you can spend numerous hours inside.